Klairs is one of the K-beauty brands that sooner or later you'll try it. It's quite available - literally in some countries you can get it in local drugstores or through local e-commerce websites. It's a brand that from 2009 keep their skincare line and the brand image simple & clean - so don't expect 100 of products to choose from. The products are focused on good & natural ingredients, all the products are Vegetarian-friendly and the brand tries to make them all suitable for Vegans. Obviously, the brand is cruelty-free. I can admit, I love Klairs a lot - my first moisturizer that worked on my skin was Klairs Rich Moist Soothing Cream, even if now I use different products to test something new, I keep thinking about it in a positive way. Let's focus on the design! The first thing I've noticed about this product is the design of the product - it's more minimalistic and this time we get a transparent packaging. I think it's a nice design and it shows the awesome bubbles which you can see inside. The application process is really easy, you won't get too much of the product since the product has this nice "dropper" on the other hand this "dropper" might be annoying if you need to use more of the toner because you want to make your own sheet mask. I feel like the product is bit thicker but more lightweight but the biggest difference is in the scent and in the formula. Some people think that this scent reminds them of the hospital (including my mom) but for me, the scent reminds me of burned plastic or liquorice - I hate the liquorice, I accept it only in a skincare, as a food/candy - never! How different are the formulas of Klairs Supple Preparation Unscented Toner and Klairs Supple Preparation Toner? The base of the toners is the same - it starts with Water and ends up with Portulaca Oleracea Powder and then we've got Lysine HCL to Theanine, nothing changes! All you need to do next is to remove essential oils & fragrance ingredients and leave Copper Tripeptide-1. If you've got acne-prone skin then Glycyrrhiza Glabra (Licorice) Root Extract (Licorice extract that helps with acne but it can also brighten your skin), Centella Asiatica Extract (also known as Gotu Kola or Tiger Grass - a powerful antioxidant with antibacterial, antifungal and antiseptic properties) or Sodium Ascorbyl Phosphate (a stable form of Vitamin C) might still help you with your skin. On the other hand, I can see here lots of ingredients with a soothing or hydrating effect like Panthenol, Beta-Glucan or Aloe Barbadensis Leaf Extract. Personally, I mostly enjoy two ingredients in this composition Natto Gum and Copper Tripeptide-1. Natto is nothing else than fermented soy, usually, foreigners hate Natto because of the scent and weird texture and I can understand it but Natto is perfect if you're allergic - especially allergic to soy, you shouldn't react to natto even if you've got a soy allergy. It's also told to be an antioxidant. Copper Tripeptide-1 is a peptide which normally you can find in saliva, it stimulates collagen production and wound healing. Obviously here don't suspect miracles from this peptide since it's the last ingredient on the least but if you ever want to try peptide serum then go for it, I used peptide serum (but I used FGF peptide, not Copper Tripeptide-1) and it was the best treatment for my skin I've ever tried. The difference between the toners? There's not so much difference between the products and I can clearly say that performance of both is really good then which one will be better for your skin? Klairs Supple Preparation Unscented Toner is the most basic toner you can get - to minimalize the skin sensitivity, it will perform well on sensitive skin with redness & acne. I know that some people are having problems with a traditional version such as clogging but it's very personal thing and you shouldn't react to this product but you can see that both versions contain Butylene Glycol which might be comedogenic to some of you but as I said with Butylene Glycol and Dimethicone it's quite rare and it's an individual thing. This toner is not my fave as a base for homemade sheet mask because it's quite thick but if you mix it with a mist or another toner - it can work as a sheet mask base too. 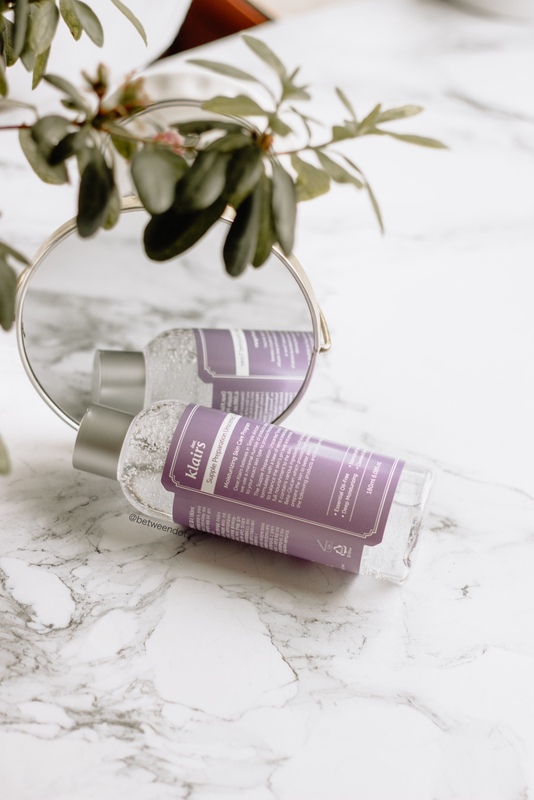 Klairs Supple Preparation Toner in a classic version will be better for every person who prefers scented products and essential oils - there are no much differences between both but if you don't have a sensitive skin then you can choose between both. This toner works better for a sheet mask base. I can admit that as a person who works from home and reacts to skincare I use this toner on cotton pads and usually cotton pads are fully soaked when I put toner on them, this one? It's a bit of a work to soak them fully but it works. From time to time if your skin gets very sensitive and you need to calm it down using the toner on pads to make DIY "sheet mask" is a good idea. Can this toner be used for 7 skin method? I think so, I usually use more liquidy products that reminds me of the water but it's well-concentrated toner and it can work miracles. If you ever checked Korean skincare products you might see "Skin" as the type of the product. Or "Skintoner" like on Swanicoco Toner - both Skin and Toner are the same thing. The whole method is about applying another layer of toner with small breaks between application. This shouldn't be done every day or twice a day but 1-2 times per week is maximum and personally, I prefer to do it when my skin feels pretty bad. You can use toner or essence to do it, the main point of the 7-skin method is to hydrate your skin. After cleansing tap the water onto your skin - do not use towels, they are bad for your skin - they can spread bacteria on your face like you spread the Nutella on the butter. The gently tap the layer of the toner and wait - your skin should drink the toner before you apply the next layer. It can be 3-7 layers depending on your skin. Is it the best toner I've ever tried? I can't really say anything bad about this toner, it's very hydrating, it didn't irritate my skin, I had no allergic reactions, it's literally the perfect product. Maybe besides the scent which is quite ew for me, I needed some time to get used to it but if I can stand it - a person with the worst nose to scents - then you can do it too! Is it the best toner I've ever tried? Maybe not the best, I feel like there's no such thing as the best toner - I would have to select the whole group of good toners instead. I might do it one day but for now, I can tell you it's one of the best toners I've ever tried and I feel like if I could make a ranking of Klairs toner this baby would have to be higher than Rich Moist Soothing Cream! Is there a price difference between Klairs Supple Preparation Unscented Toner and Klairs Supple Preparation Toner? And that's a good news - no. 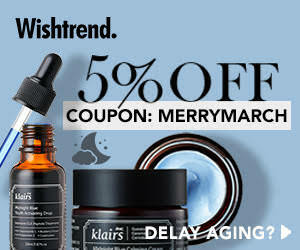 Both Klairs Supple Preparation Unscented Toner and Klairs Supple Preparation Toner cost $21.99 on Wishtrend. What do you think about this product? Have you tried it? Which version is better for your skin?